bleiCOLOR-SK is a variant of the proven classic bleiCOLOR that is self-adhesive over its entire rear side. 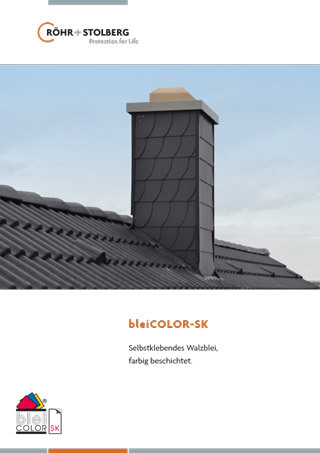 bleiCOLOR-SK is particularly suitable for all sealings between roofing and adjoining building components. The strong adhesive layer makes working on roofs and façades easier, enabling the product to be laid quickly and cost-efficient. bleiCOLOR-SK also has the strengths of classic lead sheet products: extreme durability, very good cold forming properties and recyclability. The colour-coated surface is available in the standard roof colours. bleiCOLOR-SK thus blends harmoniously into the appearance of the building while retaining its attractive, uniform colouring. 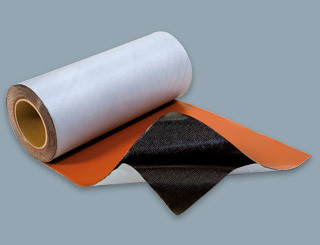 bleiCOLOR-SK is extremely UV- and weather-resistant and can be formed flexibly. Röhr + Stolberg also supplies bleiCOLOR and bleiCOLOR Dry Ridge Vent Roll. Like all lead sheet products from Röhr + Stolberg, bleiCOLOR-SK is made from recycled lead and is ideally suited to recovering. 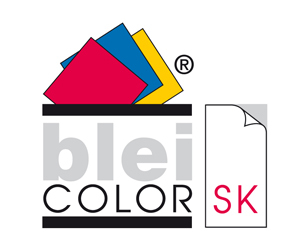 bleiCOLOR-SK is certified with the Environmental Product Declaration of the Institute Construction and Environment e.V.